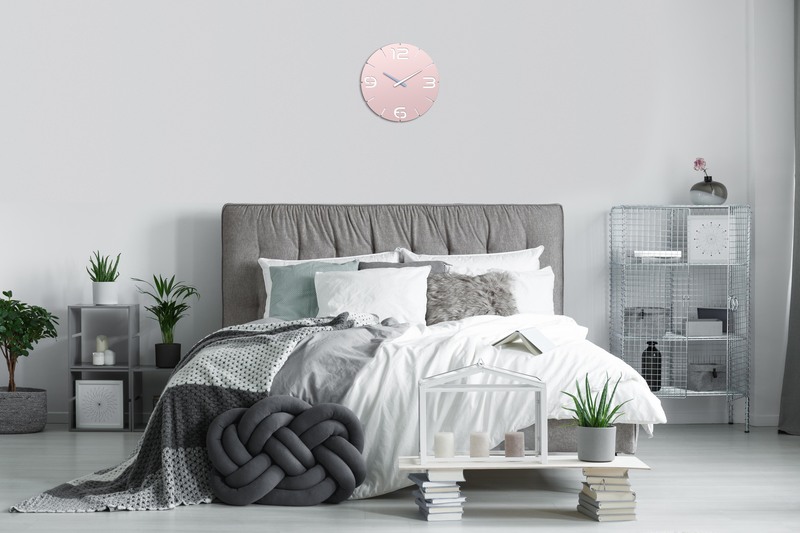 The wall clock "CONTOUR" has the makings of a classic. 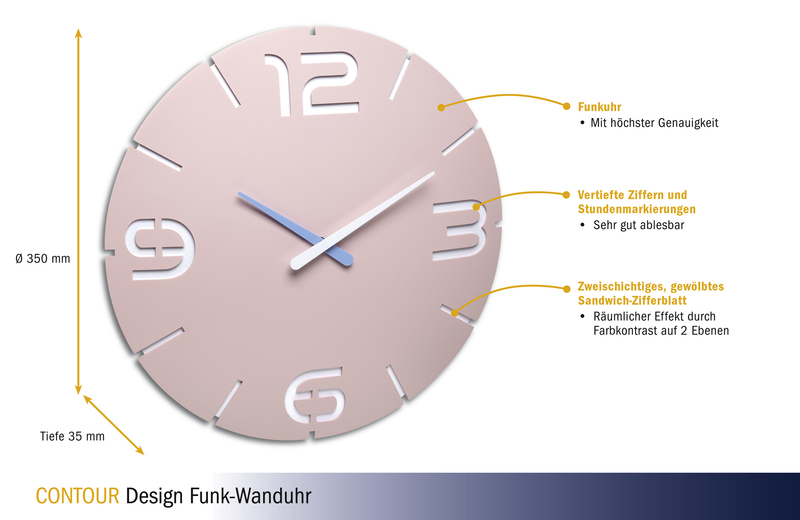 Its design, developed exclusively for TFA Dostmann by Mosru Mohiuddin, is memorable and timelessly beautiful. 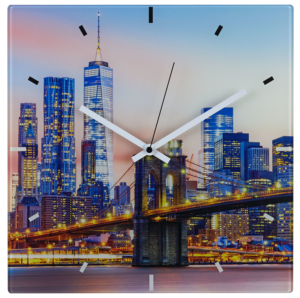 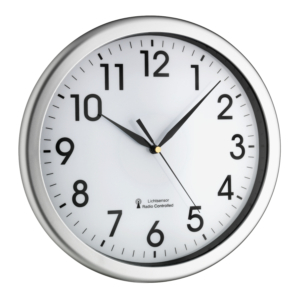 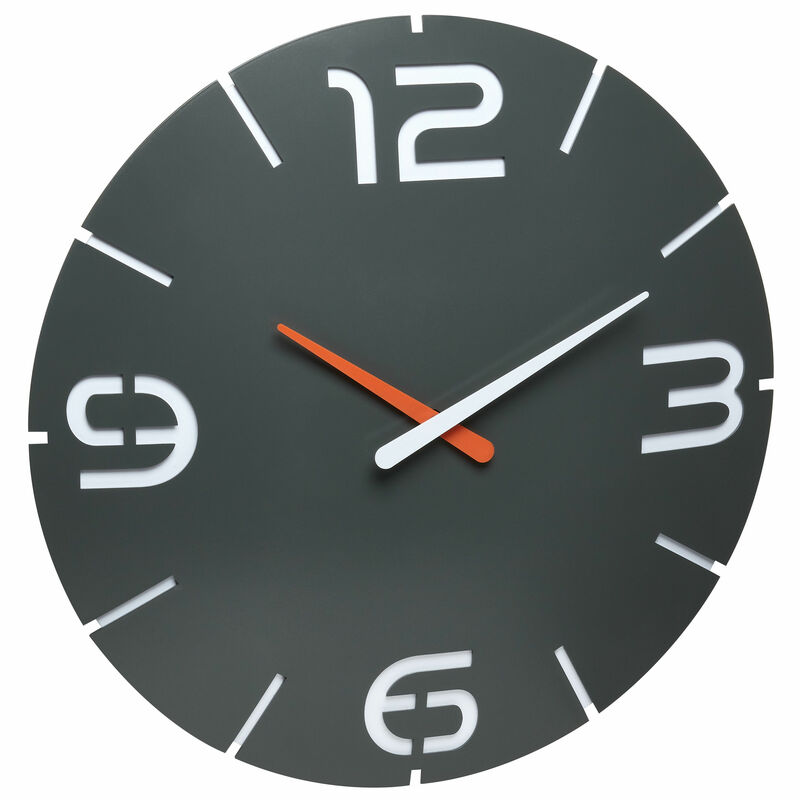 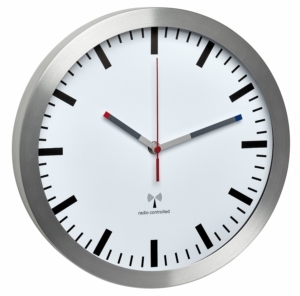 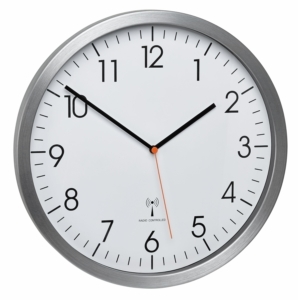 The clock consists of a two-layer, slightly curved dial. 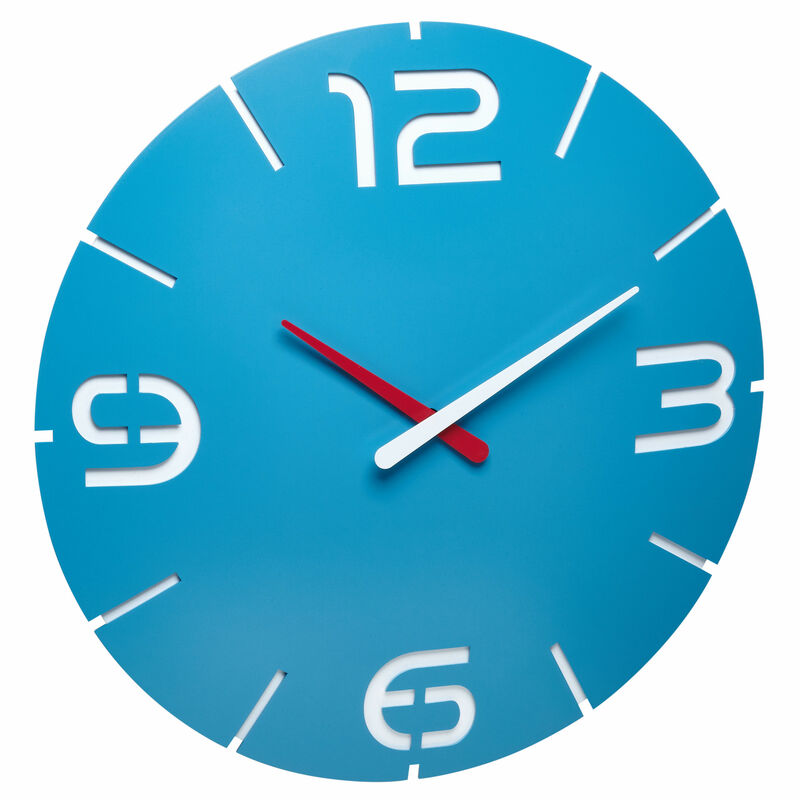 Numbers and hour markers are cut out; enhanced by the effective contrast between the white and the colourful paint on two levels creates a clear contour with spatial depth effect. 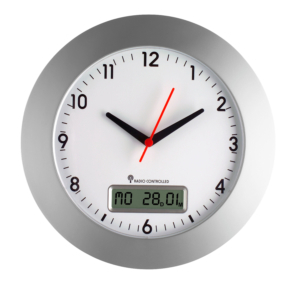 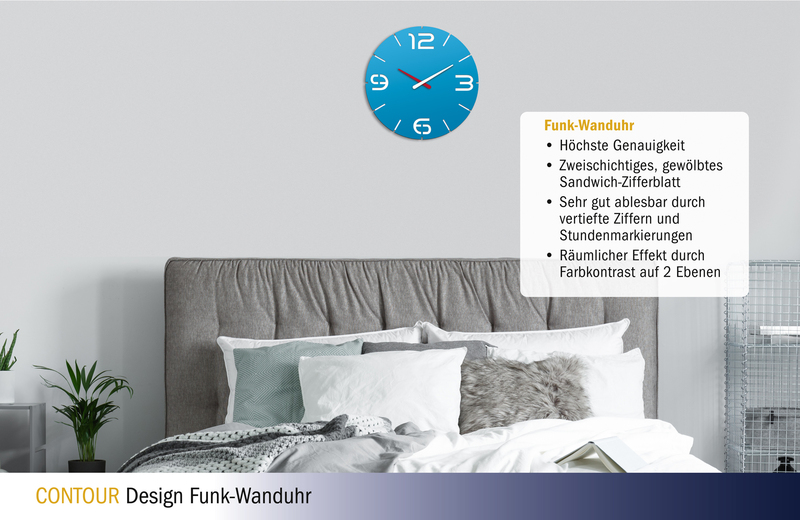 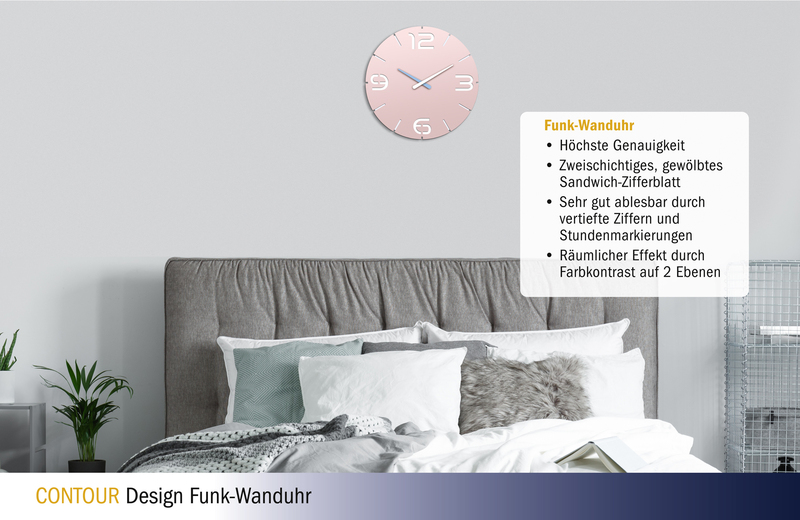 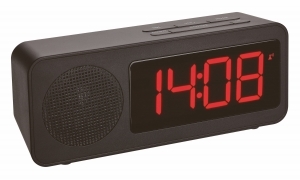 The radio-controlled clock is set precisely via the DCF77 signal and changes automatically from summer to wintertime. 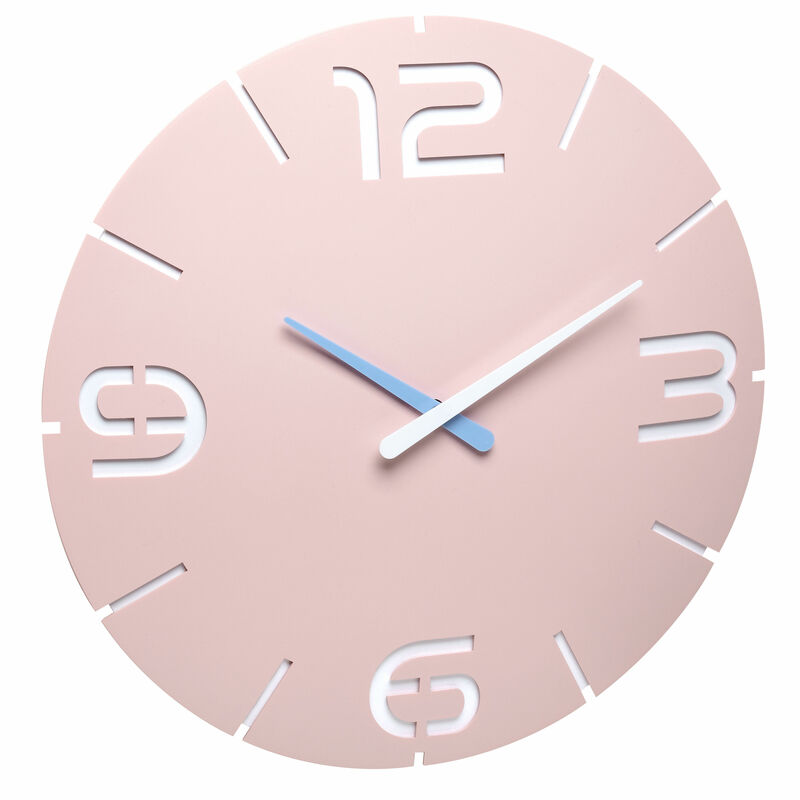 "CONTOUR" is also a great gift for friends and acquaintances.